Shhhhhh...I have a lil' secret. Last night as the doors closed for the night and the Sweet Gang went home for much needed rest, I snuck out my camera. I could not resist taking a few photos for you. I enjoy watching the Gang work throughout the month but it is the week of the event that the magic happens. I takes my breathe away. The Salvage Secrets they have created are beautiful. A secret garden awaits you. I do believe I shall sit here, read a book and be surrounded by all the things I adore. One of Mother Nature's most fabulous sculptures, driftwood. With a garden caddy like this one may never leave the garden. By far one of my favorite pieces this month. The possibilities are endless. This collection says it all. 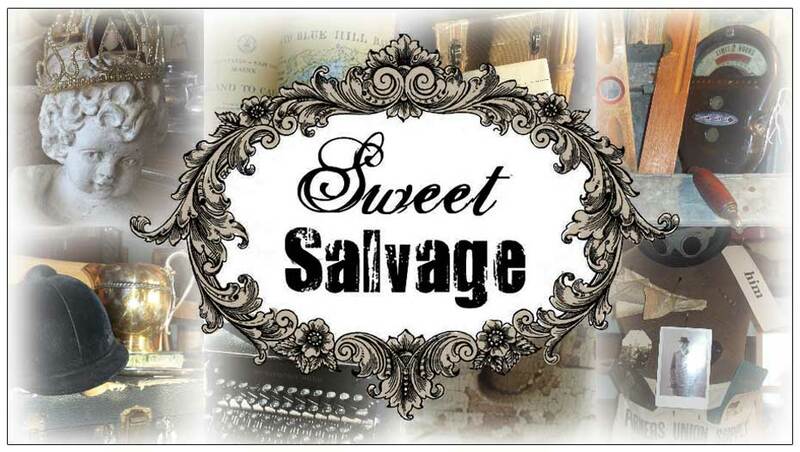 The secret to incorporating Salvage...beautiful textures mixed with patinas. Of course we must not forget to color our World. Love the butterfly pillow the best!! Just LoVe the Textures/PaTinA PIc!*! *!